Helping local business to do business. 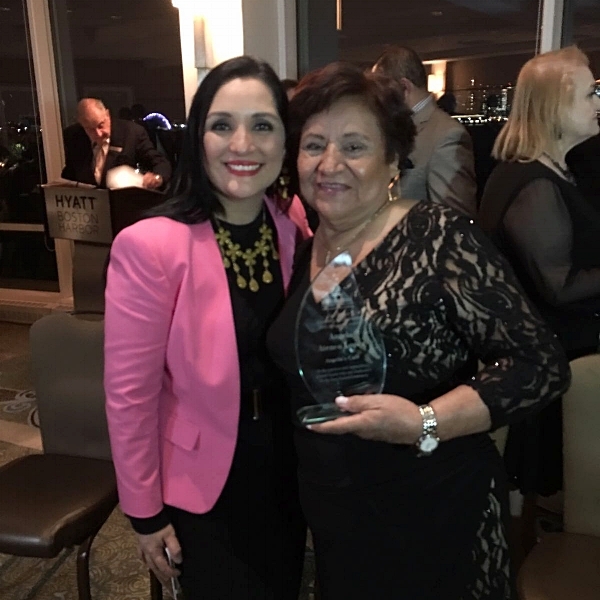 Last November 10th, Angela's Cafe received East Boston Chamber of Commerce #ProsperityAward 2016 for helping local people to get a job and also putting the name of Mexico at the top. Angela Atenco, Angela's Cafe founder, started her career when she was a child at the age of 8 under the teaching of her mother. She moved abroad 22 years ago with a dream in mind: having her own mexican restaurant. Helped by her two sons they made it true, an authentic Mexican restaurant, with a traditional taste of Puebla. Thanks to Veronica and Orale con Veronica for the award. Angela's Cafe will always be committed to help people who are looking for an opportunity to get a job. Now the world knows it. Whether you are a accountant, sales manager, waiter or even if you have no experience in restaurants, Angela's Cafe has a place for you. You check all the job application details here.